VANCOUVER — Schools provide needed education and support for their students. But raising a child goes beyond book learning and practical educational concepts. Character and attitude are traits best fostered and exhibited by mentors. 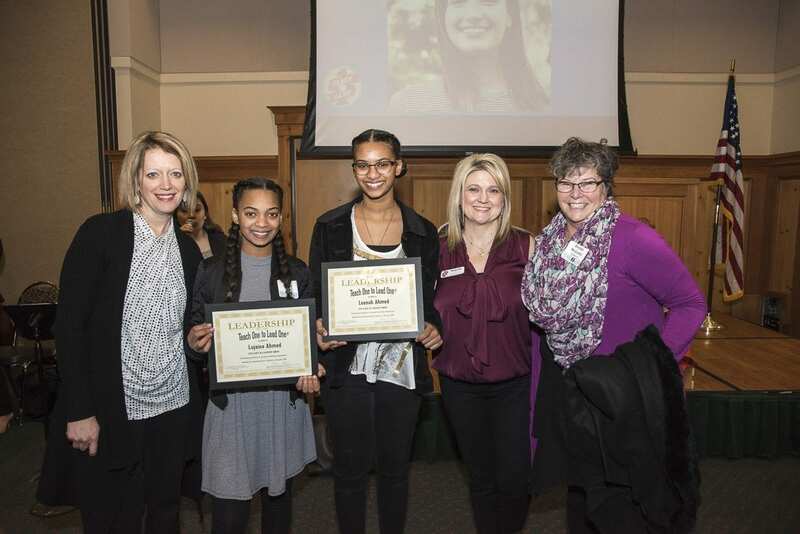 Clark County’s chapter of the Teach 1 to Lead 1 program aims to instill universal principles in area students through volunteer mentorship. Officially, the Clark County chapter of Teach 1 to Lead 1 launched in April of 2012. The program first started in Clark County in 2011 at Mountain View High School, with the encouragement of Sheriff Chuck Atkins and his wife, according to Marc Logan, executive director of Teach 1 to Lead 1. The local movement is a component of a national organization that began in 1996 in Atlanta, GA, Logan said. Since the national program’s launch, 36,000 kids have been mentored across the country, and since launching in Clark County, the program has reached 2,600 students. When the program first started 22 years ago, it was built around a curriculum of what Logan calls universal principles. In the Teach 1 to Lead 1 program, students learn about respect, integrity, self-control, courage, humility, excellence, compassion, enthusiasm, teamwork and honor. The thrust of the curriculum is to “lead kids in a life of purpose and potential,” Logan explained. The program saw success in Clark County soon after it began. 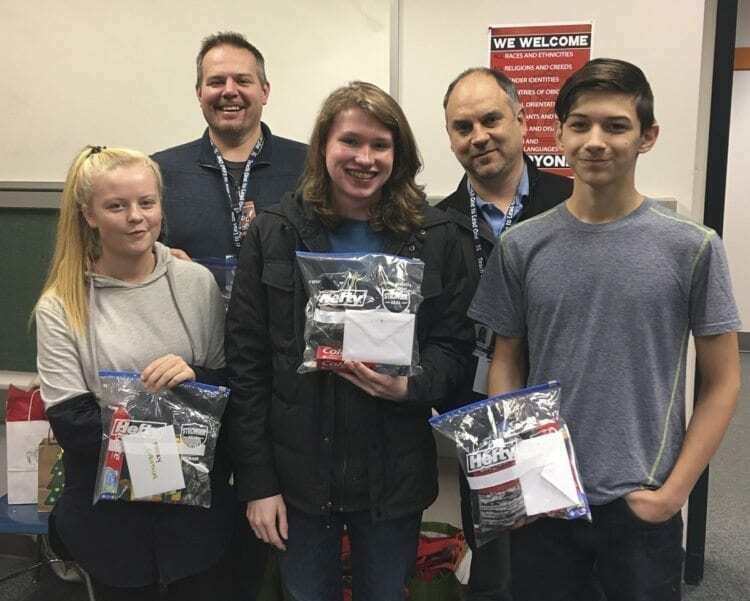 After the pilot program launched in 2011 with a group of 4 volunteers, Mountain View High School saw markedly increased grades, attendance and behavioral improvements, Logan said. Now, Teach 1 to Lead 1 operates in 6 local schools and mentors 478 students with 77 volunteer mentors. In the schools, Teach 1 to Lead 1 operates with a cohort of kids for one hour each week in the classroom. The schools themselves identify groups of students that they consider “at risk,” and direct Teach 1 to Lead 1 volunteers to the classes that the school sees fit. During the classroom mentor time itself, volunteers spend about 35 minutes leading games, skits role plays or discussions that pertain to each principle being taught. The rest of the time spent in the classroom session is spent in small group discussions. Logan said that it is in small group discussions where students really open up and meaningful mentorship relationships can form. In addition to teaching students about character traits and universal principles, Teach 1 to Lead 1 also guides them in annual community service projects. Logan said that the community service projects teach the students how to apply what they have learned in the classroom to the outside world. In addition to providing support and mentorship to the students, Teach 1 to Lead 1 also celebrates the kids, Logan said. After completing the program, there is a graduation party, and a yearly winter Leadership Breakfast where students are recognized. Logan said that this is important because many of the kids are not celebrated. When the organization first began in Clark County, it had to use community connections such as Atkins to become connected with local schools. Now, Logan said that the program has grown so successfully that schools are contacting them to provide classroom mentorship, and the group currently has a waiting list of nine schools that want to partner. Logan noted that mentors with Teach 1 to Lead 1 come from all walks of life, from business people to members of community service organizations to faith groups. Additionally, feedback from parents of students in the program has been extremely positive as well. He also addressed some concerns that the program is for problem students. “This is not a program necessarily for bad kids,” Logan explained. Rather, the principles being taught in the classroom sessions are applicable to everyone. Looking forward, Logan said that there are two important areas of growth for the Clark County Teach 1 to Lead 1 program. The first is that they need more mentors. Next school year, the organization hopes to mentor 595 students, and they need the volunteer force to accommodate all of the students. Also, as a nonprofit, Logan said that the organization needs funding to support all of the students. To that end, Teach 1 to Lead 1 hosts several fundraisers, including the annual Leadership Breakfast, the spring Race for the Kids, and the annual fall Give More 24 donation drive. Teach 1 to Lead 1 does not just operate within schools. It also works with kids in the juvenile court system as well as in homeless shelters, and will soon partner with Open House Ministries to mentor students in the homeless shelter. The mission of Teach 1 to Lead 1 goes beyond simply having volunteers in the classroom, Logan said. “We’re really in the business of saving lives,” he explained. To learn more about Teach 1 to Lead 1, visit their website at https://clarkwa.t1l1.org/.